Peanuts are one of the most popular nuts around the world. Roasted, shelled, unshelled, salted or as a butter they are a very popular snack. Peanuts are very rich in fiber, minerals (copper, magnesium, zinc, potassium) and proteins, but are also very caloric, more than 600 calories per 100 grams. So peanuts make a perfect snack for those who suffer from chronic fatigue and are ideal for people who practice physical activity. Peanuts are a very rich source of vitamins such as Vitamin E which is a powerful antioxidant just as oleic acid and resveratrol also contained in peanuts. Antioxidants neutralize free radicals preventing them from causing damage to cells, damage that can lead to cancer. Oleic acid is a healthful fat found also in olive oil, the type of fat that is one of the keys of heart-healthy Mediterranean diet. Several scientific tests confirmed that the regular intake of peanuts can have positive effect on the heart and the arteries, by lowering the bad cholesterol(LDL) and elevating the levels of good cholesterol (HDL), so peanuts can be very useful in the prevention of cardiovascular disease. Peanuts are also high B complex group of vitamins that are important for brain health, heart health, improve metabolism and reduce stress. Rich in fibers, peanuts are a great ally against lazy bowel, so they regularize your bowel movements and also help to prevent colon cancer. In the case of colitis or other colon problems, it is recommended to reduce the consumption of peanuts as other food rich in fiber. 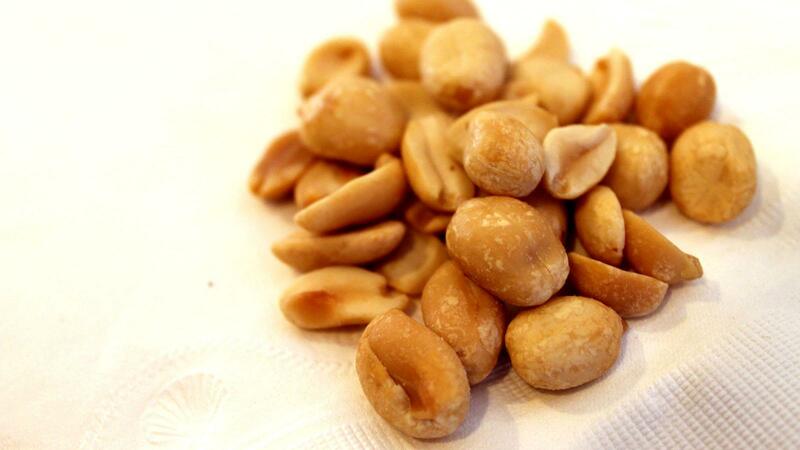 People with high blood pressure should eat natural peanuts, those in a shell, not the salted ones which tend to be rich in sodium and calories. Unshalled and salted peanuts can be stored in dry and cool place for more than a year, the shelled ones should be placed in an airtight container and kept in the refrigerator. There are some things to be careful about when it comes to peanuts and that is the contamination of peanuts by aflatoxins produced by fungi named Aspergillus flavus. They are mycotoxins that can cause serious diseases such as liver cirrhosis and some types of cancers. Therefore, it is essential to always choose good quality products and ensure that the pods are crisp and undamaged. If peanuts are dark or covered with white powder it is absolutely necessary to throw them away immediately. Roasting can help to reduce levels of aflatoxins in these nuts.